1860, zelkova for frame, paulownia for drawers, iron fittings; Cheon Ra Buk Do Province. 37″w, 10″d, 56.5″h. The sliding panels on top has the “Ginseng” and “Deer Horn” characters painted on them. Behind the panels a shelf divides the space. All the drawers are divided inside. The back panel shows old lining rice paper and has some splits due to age but otherwise the chest is in good condition and is all-original. The small drawers brass pulls are in the shape of a pomegranate and those on the big drawers are double-hook handles. The pieces is certified by a scholar approved by the government in the 1900s. 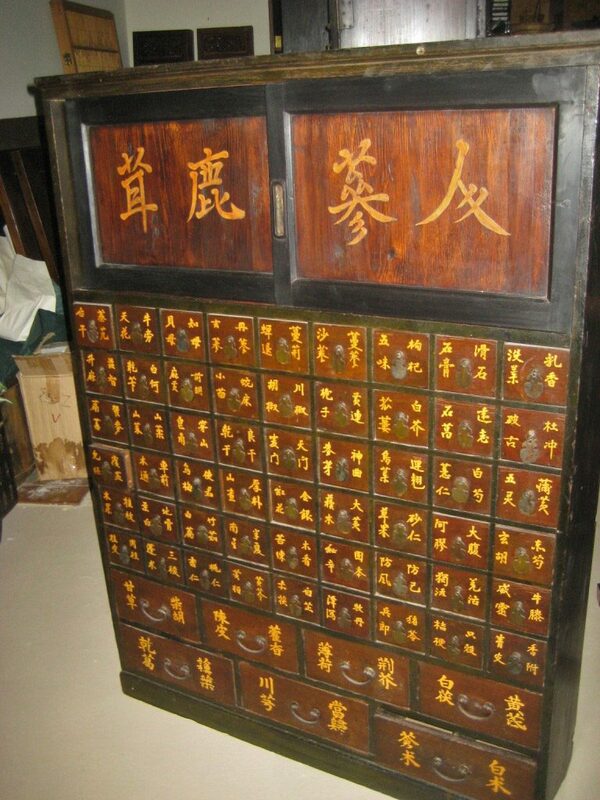 Authentic Korean medicine cabinets are rare in the world and many ended in museums.